The mission of the Parish Life Committee is to help create and encourage an environment in which connections can be build within parish ministries and community. The role of the committee is to assist in making the Parish a center for each person to share their talents in both social and spiritual activities, while keeping God as their focus. Parish Life members use their entertainment planning and creative energies to foster an active parish social life. If you are interested in helping and joining Parish Life, please click here. Was a huge success! Thank you everyone! 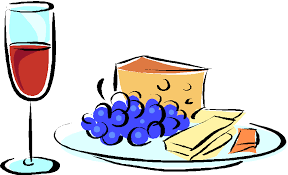 Wine and Cheese Social after most of the first Saturday 5PM Masses, in the community center.